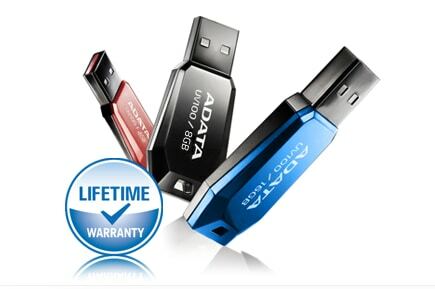 ADATA is a world leading memory brand, with global marketing and distribution of a complete line of memory modules. In recent times, especially, in India, there has been an intense competition and PC component manufacturers are doing their best to differentiate themselves and add value to their offerings. ADATA too has revamped its India centric strategy to cater to the unique conditions that exist here. Being that India is a highly price sensitive market with low PC penetration a pragmatic pricing strategy is the need of the hour. Thus the challenge for ADATA is to decide if it wants to position its brand as a mass market one or where it offers products with high performance and cutting edge features at a premium. The company highlights that it has a strong R&D as well as design team to leverage its products in either segment. He further highlights that the Flash & Storage market in India or in any other geography is essentially three different segments: USB Flash Drive, Flash Card (SD Card) & Flash Storage (SSD) and that the Flash Storage (SSD) segment is still in a nascent stage in India. The company is looking to address this through National Distributors & Large Corporate Account partners. ADATA bets on diverse product portfolio and game changing innovations 0 out of 5 based on 0 ratings. 0 user reviews. Demonetisation: An important first step to curb the black money menace?